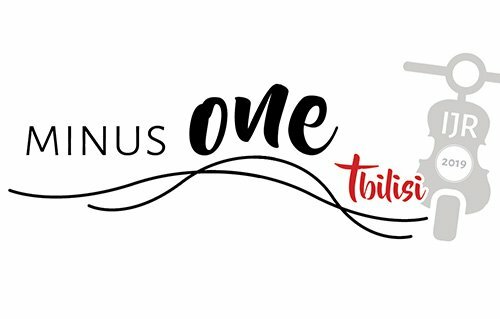 The MINUS ONE Festival was born as an ideal continuation and expansion of the Italian Jazz On the Roadproject: after having exported the new Italian jazz in Europe, the Saint Louis now proposes, with Minus One, to reach more distant destinations, surpassing the European borders. The first edition of the Project, supported by MiBact and SIAE (Public Call S’Illumina 2018), lands in February 2019 in Tbilisi, Georgia, where the Saint Louis found in V. Sarajishvili State Conservatoire an ideal, receptive and purposeful, as well as a rapidly expanding socio-cultural context and openness to the outside world. “Minus One”, because the Italian Artists will leave for Georgia in basic or reduced formation to be completed by local musicians, in order to make deeper and deeper the intercultural collaboration, allowing a real and intensive exchange rather than a passive enjoyment of a finished product. All declined in a week of double evening concerts, rehearsals and afternoon master classes, nightly jam sessions. – the new project by Paolo Damiani “New Band” which sees the great Master flanked by graduates of Saint Louis and the Conservatory of Santa Cecilia.